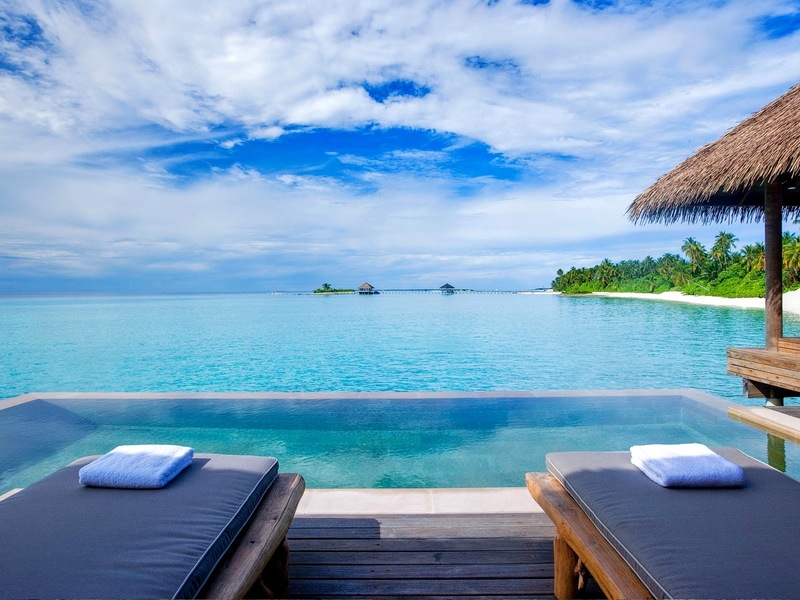 COMO Hotels and Resorts has officially launched Maalifushi by COMO, their newest property in the Maldives. Officially opened this June, the 20-acre secluded retreat and private island is the company’s second resort in the Maldives, and it is the first resort in the untouched Thaa atoll. Cocoa Island by COMO, its sister property, is located further north in the South Malé atoll, and was opened in 2002. The family friendly property features 66 rooms of overwater and garden accommodation. The island is surrounded by several small uninhabited islands which includes another small island belonging to the resort that can be booked for castaway picnics and romantic private dinners. The islands lush tropical vegetation are a home for exotic birds and acts as a curtain for private rooms, suites, villas and its “Madi” restaurant (Stingray) featuring all-day international, Maldivian, and healthful COMO Shambhala Cuisine and Thila pool bar and lounge on the island. Tai’ restaurant, can be found on the west of the island. The over water accommodations come with private plunge pools, three of them are expansive two bedroom villas and COMO Shambhala Retreat spa comes with gym, eight overwater treatment rooms, and yoga pavilion with an uninterrupted view of the ocean. Japanese designer Koichiro Ikebuchi is behind all the interior decor bearing COMO’s signature paired back style, natural light and open vistas. Diving at Maalifushi will be a dream come true as Thaa atoll features a range of untouched coral reefs with an abundance of colourful reef fish and offers an opportunity to spot hammerhead sharks. An on-island Dive Center and guided diving excursions led by a Marine Biologist and certified PADI instructors are offered. Other activities such as dolphin cruises, fishing, snorkelling, and sailing are available for the adventure seekers. Maalifushi by COMO is the first luxury resort in the Maldives to open in the pristine Thaa Atoll in the archipelago’s southwest.